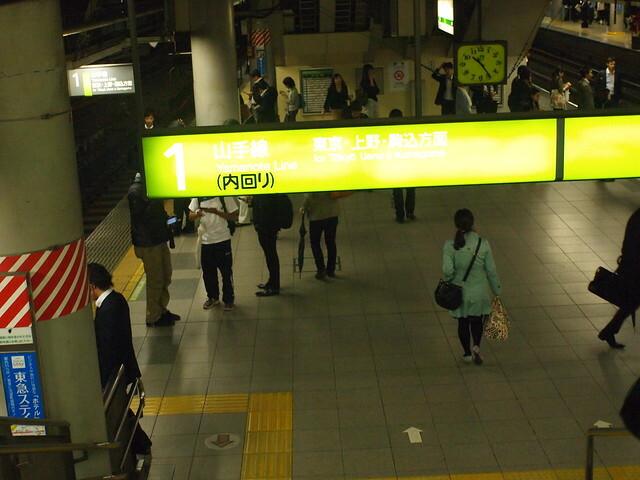 We saw the sign to Keikyu line Haneda International Airport station as soon as we exited to land-side. 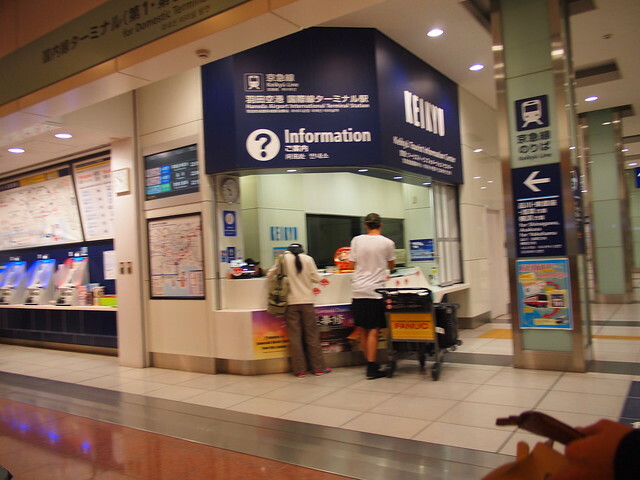 We approached the Information for assistance and a staff helped us to purchase Pasmo (Tokyo’s equivalent to London’s Oyster Card or Hong Kong’s Octopus). There is a 500 yen deposit and we topped up ours for 1000 yen each. 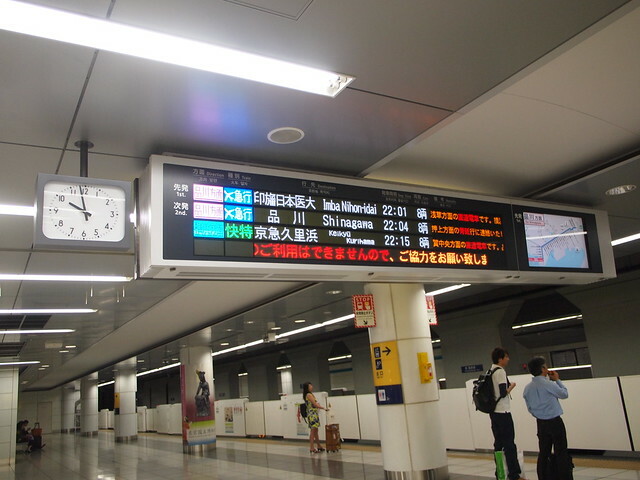 The ride on Keikyu Airport Express to Shinagawa took 19 minutes and cost 410 JPY. 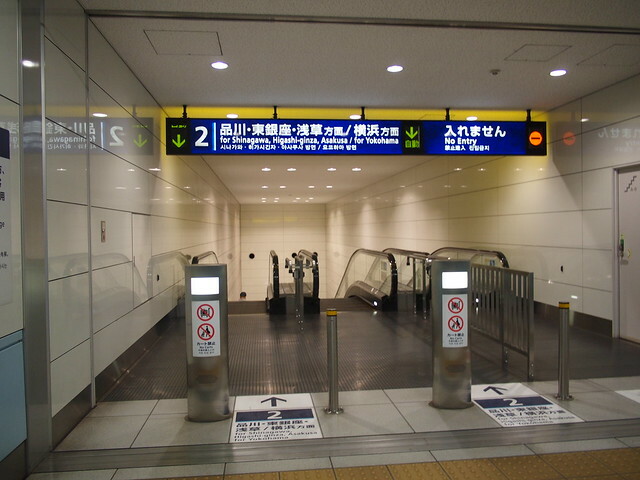 At Shinagawa, we would transfer to JR Yamanote Line to Ueno Station (160 JPY). 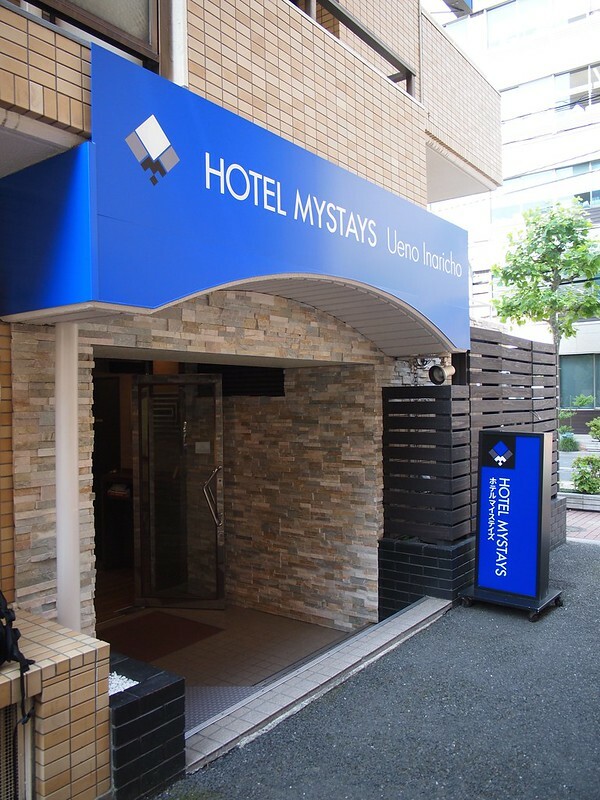 It was a 10 to 15 minute walk from Asakusa exit of the Ueno station and we found Hotel MyStays Inaricho quite easily. 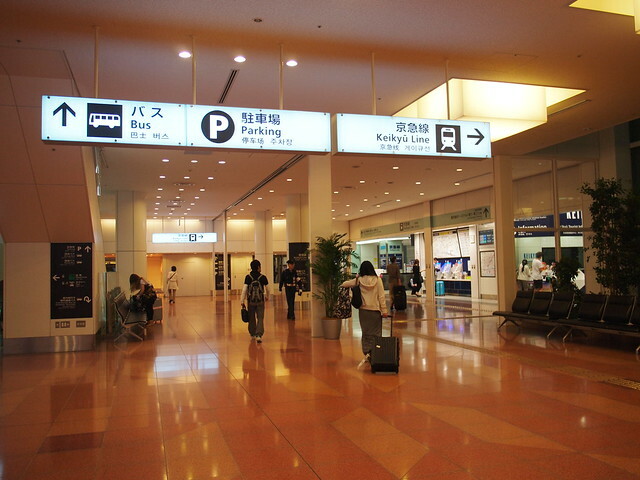 We followed the instructions given by the hotel and the staff checked us in within 10 minutes of our arrivals. 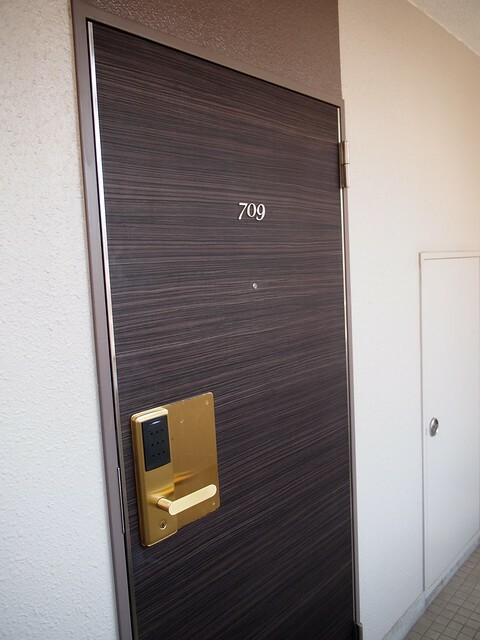 We were given room 709 which was at the end of a rather scary corridor. The room was pretty small but it came with almost everything that we required. 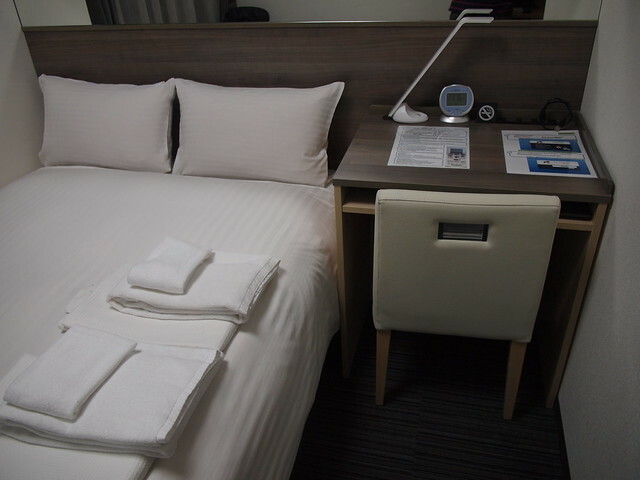 If I were to complain, the bed was kinda small for two people to share. 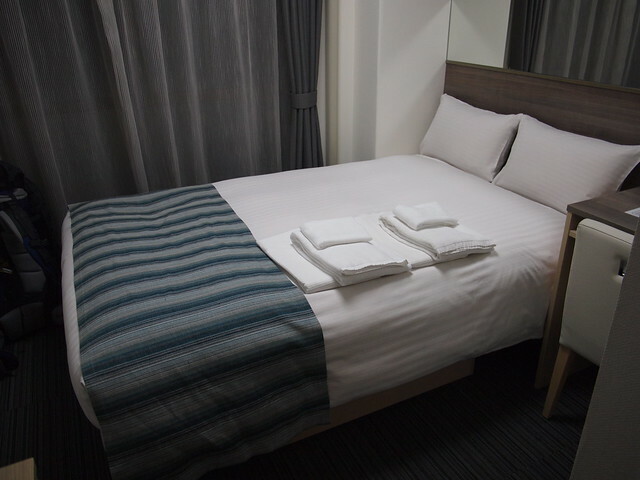 I thought that the hotel was a great bargain at 6600 JPY for the night. 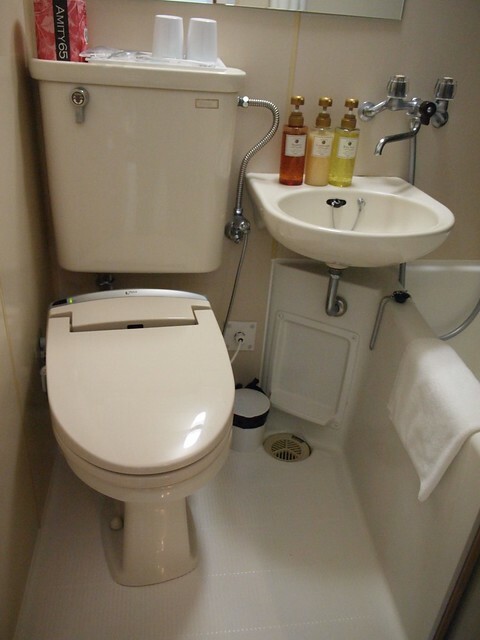 However, it would be a little too claustrophobic to stay there for a few days. When we were checking out the next morning, the day staff were very friendly and helped us with storing our bags for the day. 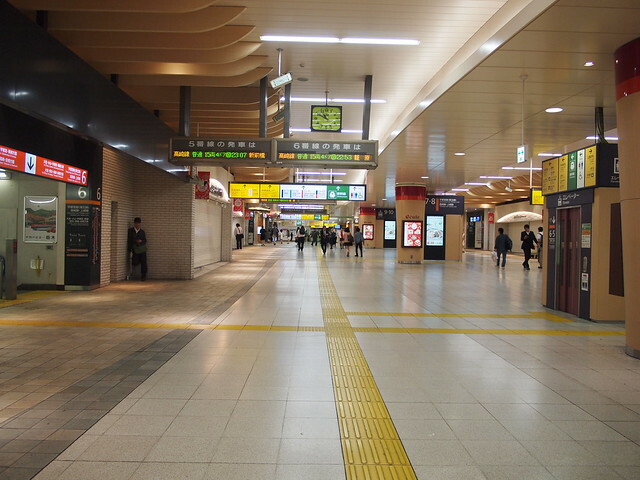 Location-wise it’s very near Inaricho station and within 15 minute walk from Ueno JR station. Asakusa is also walkable from there as we would find out later in the day. 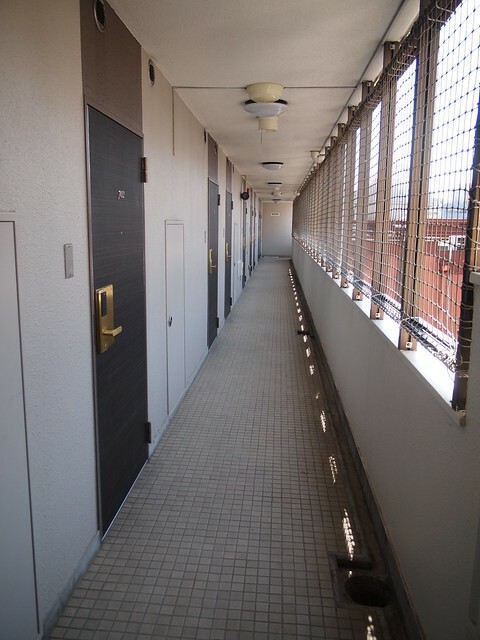 This entry was posted in Japan and tagged Accommodation, Featured, Japan, Tokyo. Bookmark the permalink.